One possibility, [Carville] said, was to embrace a reform-oriented, anti-Washington agenda. That would require the ability of members of Congress to reject pork projects for their districts and stake the party’s fortunes on fiscal discipline. Hmmmm…. sounds like part of what we’re looking for in the Democratic Party if they want to continue to be relevant. 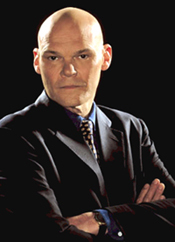 According to the article, Carville is thinking about writing a book regarding the new direction of the party. I think that may end up being a good read for everyone. I also think he has just been put on my list of letters to write…..
"Carville Knows What’s Up" by Jeremy Felt, unless otherwise expressly stated, is licensed under a CC BY-SA 4.0 International License.